Normally, it takes a person more than one web page to buy a product, request a quote, or sign up for a blog. That is why when your website analytics shows that a certain rate of visitors never goes further than just one page, it seems alarming. But is it? High Bounce Rate alone often means that something about the page visitors land at is immediately driving them away – that may be the design, the content, annoying ads or pop-ups, and many other things. But if you look at another indicator, Visit Duration, you will see it’s not always so. If the visitor didn’t proceed to the rest of the website, but spent enough time on your page to read its content, it may mean that they were searching for certain information, read your blog post, and continued their way. That scenario is a typical picture for blogs because of their nature, but not that common for ecommerce stores or corporate websites. 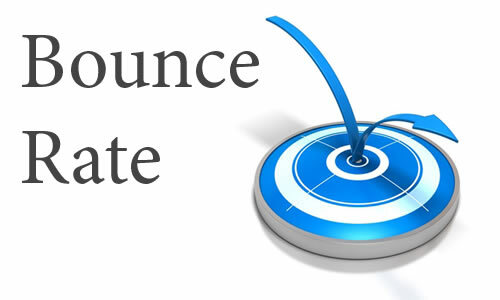 So what is an acceptable bounce rate for different kinds of websites? This works especially well for blogs: when you add a new post, insert a few links to the previous ones into the content (just make sure they are relevant and the anchor text is appropriate). That will encourage the visitors to read more of your content, and also improve your search engine rankings. Most people are annoyed by them, and close them without even reading what the offer is. This frustration often causes your impatient visitors to leave the website. Once again, your visitors are busy and impatient – if a page loads too slowly, they will just close it. So make sure your pages load fast and nice. Website ads can be distracting and frustrating, especially if they interfere with viewing the page. Even more, they make your website look less trustworthy – and all these factors combined may cause the visitor to leave your website and go elsewhere. No matter what kind of web page you own, your goal is to engage the visitor and make them want to do business with you – or, at least, read more of your content. So try to look at your website with a fresh eye and improve the things that are driving your traffic away. Now, is your website’s bounce rate too high? What do you think may be the reason? Feel free to share your thoughts in the comments.